Happy Thursday! 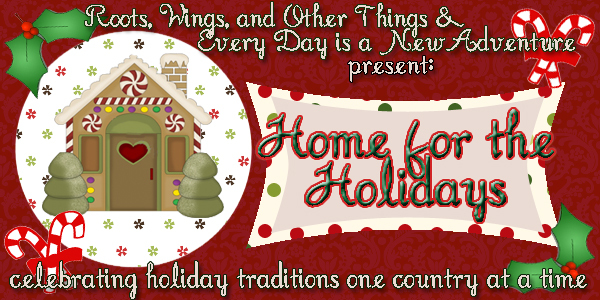 Today is the second installment of Home for the Holidays brought to you by myself (obviously) and the lovely Daryl from Roots, Wings, and Other Things. I don't know if any of you have ever been to Italy, but it's a totally fabulous country with amazing food, and I'm very excited, because that's where Marissa (who is going to share an awesome recipe with you) is living right now. She is awesome, and has an amazing little blog here called The Boot. with tomato and mozzarella or tuna and capers or even nutella! easy to make! Toast a sheet pan of almonds in the oven until fragrant. 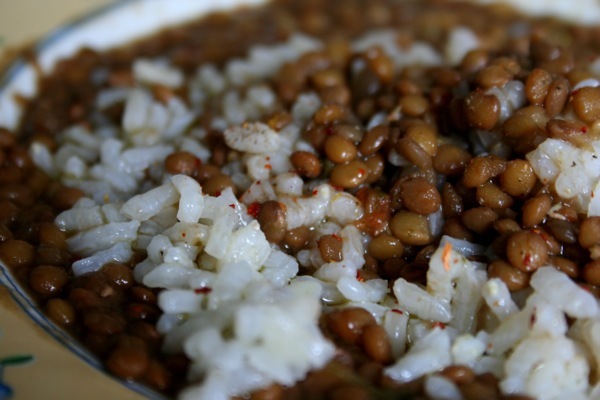 Wash lentils with cold water. Place them in a pot and cover them with an abundant amount of cold water.Cook over a high flame and when it starts to boil add two or three cherry tomatoes chopped in half, a good sprinkling of parsley, three cloves of garlic still with the skin on (Maria says, “with their clothes on”). Let that cook for about an hour on low and cover. Stir every now and then. Add your salt at the end when the water is absorbed and the lentils are tender.Maria likes her lentils over rice but you can also serve them over a small pasta like ditalini. Drizzle olive oil and sprinkle crushed red pepper over each bowl.**************************************************Yeah... I think I'm going to have to go make that like, now! 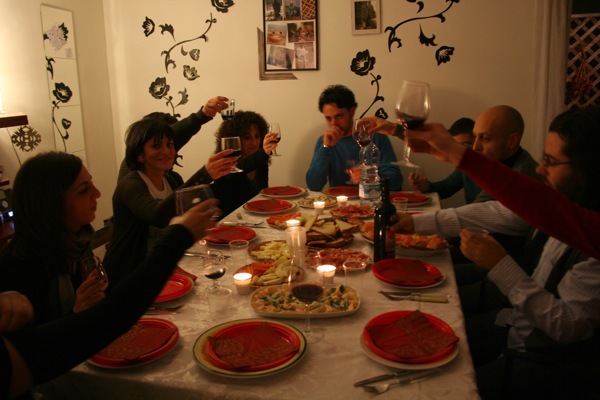 Hope you all enjoyed hearing about Italian traditions. Don't forget to stop by Marissa's blog to leave her some love, and Daryl's blog to find out how they celebrate the holidays in Italy! Happy Thursday! I LOVE lentils! I didn't know they were good luck! How fun.